Mumbai: Hollywood has been brimming with high on CGI juggernaut flicks, with reboots and shared universes arising in much abundance. While Marvel and DC Comics have been pioneers of the box-office phenomenon that have been the shared universes, Universal has jumped into the bandwagon, with its arguably exciting Universal Monsters. The first in the series, a reboot of the 90’s cult flick, ‘The Mummy,’ has finally dropped its trailer and the things seem a tad different than how they actually are projected as. Though there has been a generic sense of discontent among fans of the original, thanks to a visible drift in essence between the two genres, Tom Cruise’ involvement has piqued the interest surrounding the film to a great extent. The trailer is CGI-laden, expectedly enough, with adrenaline-spiking action sequences meant to appease its lead actor’s massive fanbase. It has a sinisterly attractive Sofia Boutella playing the eponymous Egyptian Mummy, out to spell global destruction. The film, helmed by Alex Kutrzman, also has Russel Crowe making his debut as Dr. Hyde in an extended cameo. However, despite of its supposed summer box-office pandering, there have been innumerable conjectures surrounding the actual role of Tom Cruise in the film. 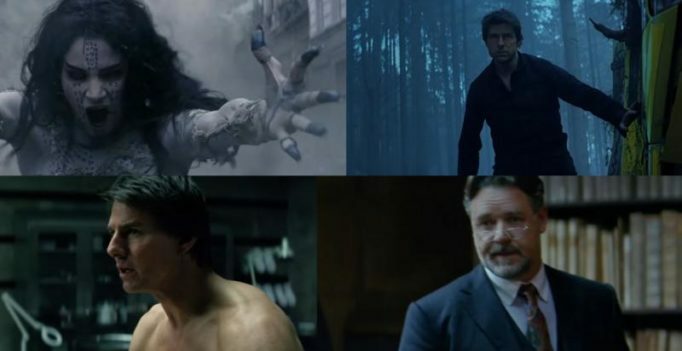 While Universal has already signed Crowe to play Dr. Hyde, Johnny Depp to portray the Invisible Man and Javier Bardem for Frankenstein’s Monster in future films, Tom Cruise, supposed to be the face of the shared Universe, has been credited as playing Nick Morton, a character with no former history with the films to be rebooted. The trailer, gratingly enough, reveals a lot of the plot leaving little to our feeble imaginations, but one could see supernatural connotations in Tom Cruise’s character graph, with him being implied to have risen from the dead. A lot many fans have hinted at a possibility at Tom Cruise being secretly cast as Van Helsing, which somewhat gained emphasis after Universal announced their Van Helsing standalone without naming their leading man. With all the screentime invested in establishing Cruise as the ‘chosen one’ for no rhyme or reason, one can’t help but visualise the casting coup materialising.